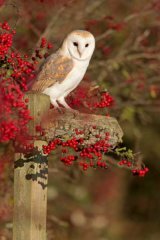 This will be a small group photography workshop working with a private bird of prey collection in the heart of the Suffolk countryside. 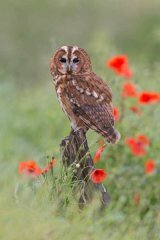 It is designed for competent photographers wishing to take images of native raptors and owls within their habitats although advice will be available throughout. It will run on about four dates annually. 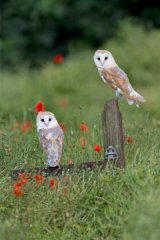 Each date will coincide with a natural feature of the countryside as a backdrop to the subject. 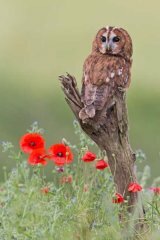 Depending on the season possibilities include Tawny owl perched on a stump among bluebells, Barn owl on fence post among poppies, Goshawk among flowering heather, Kestrel perched among autumn leaves. Other subjects can be positioned in features that are not season dependent eg. 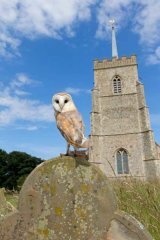 Barn owl in churchyard. 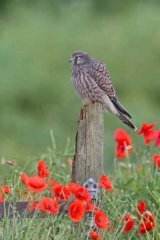 It is expected to have 5 different species placed in a variety of locations throughout each day, offering a total of 10-20 photo sessions which will include flights as well as statics. 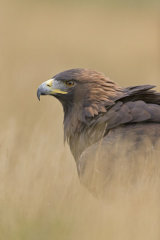 The subjects will be positioned for a 'wild' looking image and can include a prey item on occasion. 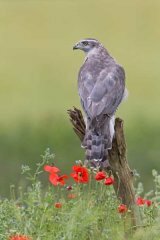 You will have the opportunity to use any lens you possess, maybe a telephoto for close up detail of the beak with an out of focus background then switching to a wide angle for say a close up of a Buzzard on a rabbit with the landscape rolling away in the distance. 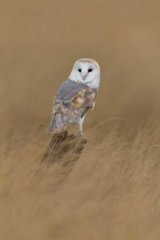 Whatever the season we will try to get the most from the natural features of the countryside for some stunning shots of some of the UK's most photogenic birds. 9 am - 4 pm approx. 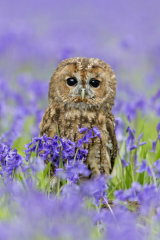 Exact dates will be announced nearer the time of each workshop but are likely to be mid May for bluebells, end June for poppies, early September for flowering heather and end October for autumn leaves. Please register your interest via the Contact Me page and I will contact you when setting dates. 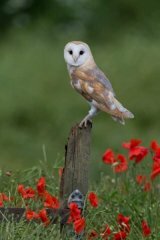 Equipment: Most if not all of the birds will allow a close approach so a lens of around 200-300mm is possible for close ups and we usually place the bird in a pleasing location that suits a wider view point. A 100-400 mm zoom lens is ideal as it allows a variety of shots without having to move out of position too much. Personally I prefer to use my 600mm as it gets me out of the way of my clients and I can keep an eye on everyone else to make sure all are happy, so if you have one of these you are welcome to keep me company at the back. 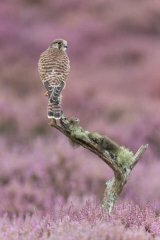 A tripod is useful, not only for keeping the camera steady but also allowing you to comfortably keep the camera in position, and therefore being ready at the vital time, whilst you are waiting for the bird to look in the direction you prefer.